Similarities between World War II and Cold War era Soviet propaganda and Russian propaganda today and its influence on U.S. politics and media are too obvious to be ignored. They are in fact strikingly similar in their techniques, derogatory labels applied to enemies and their disruptive effect on how news media functioned then and functions now in democratic societies. From World War II to today, American statesmen, intellectuals and journalists, both on the left and on the right, but initially for many decades mostly on the left and now increasingly on the right, have been deceived by Russian propaganda into making political decisions that harmed America’s values and national interests. It started out with the now almost completely forgotten collusion between the left-leaning propagandists of the Roosevelt administration at the Voice of America (VOA) to help Stalin establish control over East Central Europe and to defeat his anti-communist enemies. This was by far the greatest collaboration between the Executive Branch and a foreign power hostile to the United States and its constitutional democracy although at the time a valuable military ally against Nazi Germany. The deception continued during various periods of the Cold War when U.S. officials, both Republicans and Democrats, muted the Voice of America in response to propaganda pressure from the Kremlin. It continues today with U.S. government officials of the Broadcasting Board of Governors (BBG) in charge of the Voice of America and Radio Free Europe/Radio Liberty (RFE/RL), the majority of them Democrats, failing to expose quickly and counter effectively when it still could have had a desired impact, one of the biggest Russian propaganda and disinformation offensives against American democracy and its electoral system that, along with many other factors, may have cost Hillary Clinton the presidency. This most stunning failure by the BBG federal government bureaucracy in charge of U.S. international radio, TV and Internet outreach has received hardly any attention from mainstream American media. U.S. media reports that have appeared recently were I suspect in most cases inspired by BBG officials, some of whom are indeed experts in self-serving domestic propaganda and have longstanding contacts with mainstream liberal media. The chief purpose of these PR articles was to obscure the fact that VOA and Radio Liberty have been defeated in the information war with Russia and China, as well as Iran. Not even President Obama bothered to grant VOA an exit interview in 2016. He never once mentioned the Broadcasting Board of Governors in connection with countering Russian or ISIS propaganda. RFE, RL, and VOA during the Cold War would have been the first ones highlighted by any U.S. president speaking out on such a topic. There was never any mention in any of the promotional U.S. media reports of the BBG’s failure to discover and warn public opinion about the Russian interference in the U.S. election or about its dismal online audience reach in Russia, far below that of the few remaining independent Russian news websites, such as MEDUZA or Dozhd, also known as TV Rain. 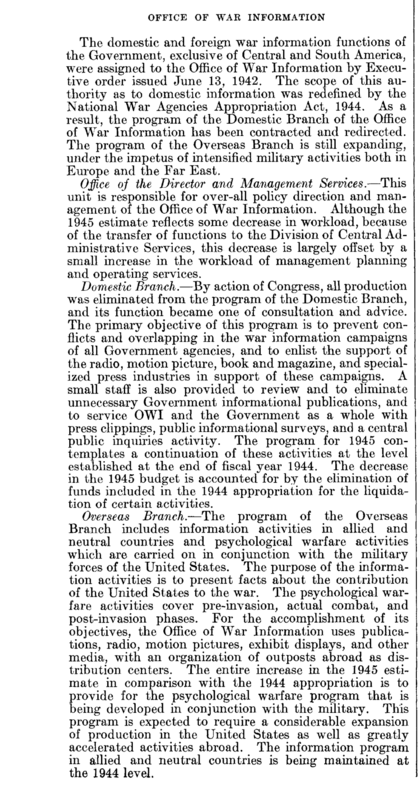 1 At one time, however, both VOA and Radio Liberty were powerful weapons against Soviet propaganda. During the Cold War, Radio Free Europe and Radio Liberty almost never failed in their commitment to democracy and human rights. The Voice of America had a somewhat different and more checkered history than Radio Free Europe and Radio Liberty. Most of the time, VOA also countered Soviet propaganda and brought hope to millions of radio listeners behind the Iron Curtain. At other times, however, it served under the control of Gulag deniers as a U.S. propaganda outlet for Stalin. There were periods in VOA’s history when defenders of democracy and human rights activists were effectively banned from its programs: leaders of the democratic governments-in-exile fighting Nazi Germany but opposed by Stalin, former prisoners of Soviet jails and labor camps and anti-communist writers, artists and journalists. Soviet propaganda often referred to them as “fascists,” “Nazi sympathizers,” “reactionaries,” “warmongers,” or “anti-Semites.” Some of these KGB-created labels against Solzhenitsyn can again be seen in Russian propaganda aimed against Ukraine. VOA bans against some of the same individuals were either ordered by U.S. policy makers, as in Alexandr Solzhenitsyn’s case, but quite often, in the case of less known opponents of communism, imposed by ideologically-driven VOA managers and editors acting on their own. These practices have become again increasingly common now under the Broadcasting Board of Governors and Voice of America leaders, some of whom, especially among the Democrats, are the present day Armand Hammers. He was an American industrialist known for his close business ties to the Soviet Union and its leaders. Some of the BBG officials and executives have been known to engage in doing corporate business or have family investments in Russia and China–a conflict of interest situation that would not have been tolerated during the Cold War. Those in charge of U.S. international broadcasting now who have corporate business interests in Russia or China might be less aggressive in pushing for investigative reporting on Russian President Vladimir Putin’s or Chinese efforts at destabilizing American politics. They might be also less aggressive in advocating measures that might result in closing down or scaling down RL or VOA news bureaus in Moscow and Beijing. Disclosures of corruption and scandals could lead to sanctions which might affect personal business interests of these BBG and VOA officials. There is abundant historical evidence that such personal considerations, in the past mostly ideological and now also economic, were just as powerful if not more powerful in leading to censorship at the Voice of America than foreign policy-driven directives from the White House or the State Department. The banning by VOA of the Russian Nobel Prize-winning writer Alexandr Solzhenitsyn in the 1970s was driven by U.S. foreign policy, but it was also made in response to Soviet propaganda and pressure on U.S. policy makers. The knowledge of this history is a good background to understanding how the United States can protect itself from propaganda and disinformation coming from abroad and from ideological biases and conflicts of interests within the BBG. It could help American media and American politicians, both on the left and on the right, from becoming targets and victims of propaganda originated in Russia, China, Iran, Cuba or any other country under dictatorial or authoritarian rule opposed to free press and elections in which all opposition candidates can freely participate with free access to media. There exists a definite link between propaganda and censorship. Quite often, one of propaganda’s goals is to tarnish the reputation of political enemies at home and abroad with carefully selected emotionally-charged labels, which can result in them being censored by journalists, banned altogether from media appearances and shunned by timid politicians. Alexandr Solzhenitsyn was one of the best known among the many victims of this type of propaganda when he became a prime target of a relentless smear campaign run by the KGB Soviet intelligence and security service in the 1970s and ’80s, but he was not the only one. There was Barry Goldwater in the 1950s. There was Richard Nixon in the 1960s until he embraced Henry Kissinger’s Realpolitik policy of détente with the Soviet Union. In a twist of historical irony, anti-communist Republicans, Richard Nixon and Gerald Ford, gave during their presidencies a major boost to Soviet propaganda against Solzhenitsyn by making him a persona non grata at the White House and at the Voice of America, even as the Russian exile was warmly received on Capitol Hill by both Democrats and Republicans and by millions of American readers of his chronicle of Soviet crimes, The Gulag Archipelago. Soviet propagandists also did not spare President Kennedy and President Johnson. There was, of course, a major Soviet propaganda campaign in the 1980s against Ronald Reagan, Pope John Paul II, and Polish Solidarity labor union leader Lech Wałęsa. Of all of these, the KGB operation against Solzhenitsyn was the most effective and had a most long lasting effect in damaging his reputation and his legacy. There were other East-Central European and Russian victims of Soviet propaganda and VOA’s censorship before Solzhenitsyn. The Voice of America started out during World War II by banning and vilifying critics of Stalin with more determination than even the Roosevelt White House and the State Department would approve of at various times. From 1942 until 1951, VOA censored Gulag witnesses, such as Polish officer Józef Czapski. VOA banned Solzhenitsyn in 1974, while Radio Free Europe and Radio Liberty did not. Some of these actions had the direct blessing of the State Department, while others originated within the United States Information Agency (USIA) and among VOA managers and editors. Today, VOA still censors some critics of authoritarian regimes in China and Iran. 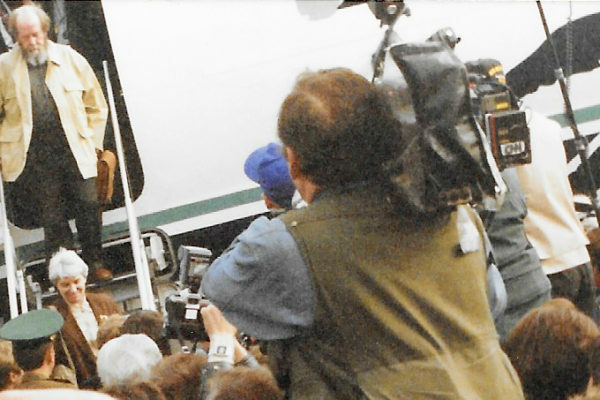 All of these actions against opponents of communism, religious fundamentalism and corruption were preceded by foreign propaganda designed to present them in the United States as extremists or criminals of one kind or another and, therefore, not suitable to be seen by American politicians or granted media interviews. Both Russia and China still successfully use this kind of propaganda and disinformation tactics today to isolate their critics by confusing and intimidating government officials and media in the West. Russia under President Putin, an ex-KGB intelligence officer, uses dirty tricks to target key U.S. politicians, as Hillary Clinton and her supporters found out during and after the 2016 U.S. presidential election campaign. Whatever damage was done to Clinton’s reputation by fake foreign-originated news and social media ads might have been avoided if the secret meddling had been exposed by U.S. media with convincing evidence of wrongdoing while it was happening. The Obama White House knew about it and should have taken effective measures to stop the interference, but it failed to do so. Ironically, the BBG’s large presence in Russia, tolerated so far by Vladimir Putin’s FSB because it presents no real danger to his rule while providing a justification for keeping open far more effective RT (formerly Russia Today) and SPUTNIK bureaus and operations in the U.S., may have been the cause of RL’s and VOA’s journalistic failures. A strong desire by BBG’s Washington bureaucrats to keep BBG bureaus in Russia at their current high staffing levels opened them to easy blackmail from the Russian government and its Federal Security Service, the FSB. During the Cold War, Radio Liberty had no staff reporters in the Soviet Union (it had secret contributors), but it still managed to break major stories of previously unreported human rights violations in Russia and elsewhere behind the Iron Curtain to audiences vastly larger than it has now. 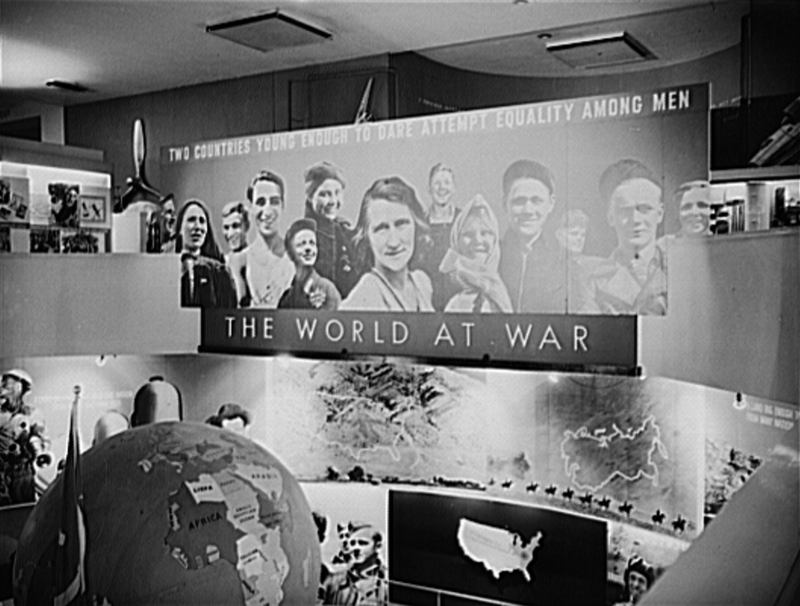 But as Secretary Clinton observed in 2013, describing to lawmakers the Broadcasting Board of Governors’ Voice of America, Radio Free Europe/Radio Liberty and other U.S. government-funded operations, “We’re not doing what we did during the Cold War.” 4 She would probably agree that the BBG’s failure was one of many factors which may have contributed to her defeat in the 2016 election, whether by failing to expose the actual interference or by failing to weaken the effectiveness of earlier Russian propaganda efforts. Whether the Russian government’s meddling and its Facebook, Twitter and YouTube ads had a significant effect on the U.S. election outcome is a separate issue. I personally doubt that they did. Further research and analysis are needed to make the final judgement, but the underlying causes for the election outcome unfavorable to Hillary Clinton seemed to have been long in place before the start of the Russian interference. To be effective, propaganda requires constant repetition and must have at least a partly receptive audience. While one should not underestimate the power of deceptive foreign propaganda being mindlessly regurgitated by American media, the duration of the Russian interference was relatively short and the amount of money spent minuscule compared to what the U.S. candidates themselves and their supporters spent on political advertising. It may, therefore, never be known what exact effect the Russian interference had on the 2016 U.S. election outcome, if any, in the key American states, but the Russians did not do anything new or different in 2016 that they had not done may times before using propaganda and disinformation to target the United States. While not engaging in disinformation defined as promoting deliberate lies or half-truths, the U.S. also has tried to influence political developments in the Soviet Union since the early 1950s and now in Russia, using RFE, RL, and VOA broadcasts. The significant difference was that these U.S. broadcasts were against brutal, undemocratic regimes which suppressed human rights, free press and free election and threatened the United States. The U.S. effort succeeded, but it took many decades of broadcasting behind the Iron Curtain to break the communist monopoly on information. Putin’s Russia is different from the Soviet Union under Stalin or Brezhnev, but it also lacks fully free media and fully democratic politics and elections. Journalists working in Russia who break news stories truly damaging to Putin have to fear for their lives. The Russian propaganda and disinformation campaign with RT and SPUTNIK reports and social media posts designed to help Donald Trump win the U.S. presidency while setting the stage for creating further divisions within the American society seems to have been relatively short and done on the cheap, but it needs to be investigated, including the causes of the BBG’s failure to uncover, disclose and warn about it in real time. The video was eventually removed by VOA from Facebook, but its impact and the impact of similar one-sided, pro-Clinton VOA reports on U.S. voters has not been yet fully assessed. It is doubtful that it can be accurately assessed now after so much time has passed. Treatment of Trump by some VOA journalists in multiple programs last year and this year has been far worse than VOA’s and other U.S. media treatment of Solzhenitsyn in 1970s. Bernie Sanders’ reputation was also tarnished in at least one VOA program in 2016. 8 The source of this partisan propaganda against American politicians and their supporters, and in the case of Hillary Clinton strongly in her favor, was in all probability internal to VOA and its staff. It had nothing to do with Russia or Russian meddling, and, as far as I know, it was not ordered by anyone at the Obama White House or the Broadcasting Board of Governors, but Obama administration officials at BBG and VOA did nothing to stop it effectively and may have contributed to it by their own public criticism of Trump. This may have been interpreted by some VOA journalists as giving them a green light to ignore the VOA Charter and to attack Trump in a one-sided manner, especially since they and their bosses did not expect him to win. Censoring Alexander Solzhenitsyn by the Voice of America in the 1970s, which Cold War Radio Museum will cover in a series of articles to be posted in the period leading up to the 100th anniversary of the Bolshevik Revolution, which started on November 7, 1917, and will continue for a few days after the anniversary date, is a case study of the impact of Soviet propaganda in the United States. One of the articles will focus on the collusion between American and Soviet propagandists which helped to put millions of East Central Europeans under Stalin’s rule for many decades and contributed to the Korean and Vietnam wars. The series of articles for this exhibit will also focus on how VOA journalists fought against censorship during the Cold War. It will touch also on some of the current controversies, including the broadcasting Board of Governors’ failure to uncover Russian interference in the 2016 U.S. presidential election and the shortening of the VOA Mandarin Service interview with Chinese whistleblower Guo Wengui in April 2017. These current events as well as the forced suspension of Chinese Service journalists who opposed the VOA management’s decision on the Guo Wengui interview have their historical roots in the World War II collusion of VOA officials and journalists with Soviet propagandists in the defense of Stalin and the banning of Solzhenitsyn in the 1970s. The articles will also examine the elimination of censorship on Soviet topics in VOA programs during the Reagan administration and Solzhenitsyn’s partial reconciliation with the Voice of America in the 1980s. Ted Lipien was VOA acting associate director in charge of central news programs before his retirement in 2006. In the 1970s, he worked as a broadcaster in the VOA Polish Service and was a reporter and service chief in the 1980s during Solidarity’s struggle for democracy in Poland. He is one of the co-founders and supporters of BBG Watch whose volunteers monitor management and performance of taxpayer-funded Voice of America and other U.S. government-run media operations within the Broadcasting Board of Governors. Robert Reilly, “How to Make the Voice of America Come Through Loud and Clear,” The Wall Street Journal, February 17, 2017. https://www.wsj.com/articles/how-to-make-the-voice-of-america-come-through-loud-and-clear-1487375332.